2019 Museum of Aboriginal Peoples’ Art & Artifacts. 30 ft x 2.5 ft painting panel commissioned by the Alberta Foundation for the Arts and on permanent loan to the Museum in Lac La Biche. 2018 Canada Goose Inc. Five, five foot polar bear sculptures for the launch of Polar Bear International day in conjunction with a new custom Pantone blue colour. Produced for each location, Tokyo, London, Toronto, Manhattan, and Chicago. 2017	The Moose Hotel, Banff Caribou Properties, Created 175 original works for each room, and four large scale painting for the common areas. 2017 Canada Goose Inc. Three to five stone polar bear sculptures for the launch of each Canada Goose location, Tokyo, London, Toronto, Manhattan, and Chicago. 2017 Travel Alberta. Commemorative art piece for Rendezvous 2017. Delegates to receive image from a painting showcasing our province to over 2000 participants from around the world. 2017 Canada 150 Medallion. Design. Canada 150 in 150 is a celebration of citizens whose stories have made Canada the country that it is. Designed medallion representing arts/technology/community. 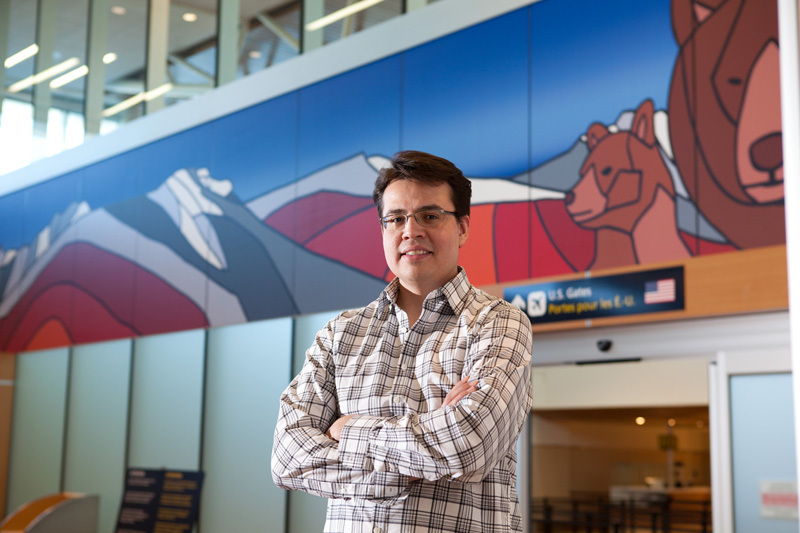 2016	The Calgary International Airport, The Calgary Airport Authority and Jason Carter have worked closely over the past years on a over 100 square meters of original artwork which was installed at The Calgary International Airport in the summer of 2016. The YYC expansion is set to open on October 29th 2016. 2015	Aboriginal Interpretive Trail located in Fort McMurray, Alberta, ‘The Red Warrior’ is a large scale (12’) sculpture made out of hard coated EPS foam with a galvanized steel frame and cherry red industrial coating. In collaboration with Heavy Industries in Calgary Alberta. Installed in the Summer of 2015. 2012	The Edmonton International Airport, ‘Old Man Mountain and Great Mother Bear’ A 100’ x 7’ mural installation above Security Check-In at the United States Departures with an expected viewer-ship of over eight million people per year for the new EIA annex which opened September 2012. 2012	Edmonton Arts Council, The south light rail transit(LRT) beautification project, Jason created five colourful murals that run along the 111 Street LRT Line in the community of Lendrum. 2012	The Works International Visual Arts Society, Amiskwaskahegan Park (AKA Beaver Hills Park) , Edmonton Alberta, ‘Seven Northern Beavers’ metal sculptural flags posted to honor the history of the park and its indigenous roots. 2010	The Winter Light Festival (Edmonton) Designed and provided paintings for three billboards to promote the winter festival in Edmonton, Alberta, from 2010 to 2012. 2014	Syncrude Canada, commissioned Jason to create a 60” x 30” Acrylic painting in commemoration of their 50th anniversary. ‘The Remarkable Bison’ and 1300 giclee prints were created to be distributed to staff. 2014	Shaw Art Collection, ‘Like Rabbits’ Canadian Soapstone. 2013	City of Edmonton/City Council, ‘Standing Bear’ (Chlorite soapstone) Gift to departing Mayor Mandel. 2013	Athabasca Tribal Council, ‘Turning Moose on Orange’ (40” x 60” Acrylic on Canvas) To be displayed in the lobby of the tribal councils main office. 2013	Western Manufacturing Technology Show, Three Sisters (40” x 60” Acrylic on Canvas) Designed conference imagery which was used in all the marketing and advertising. 2009	Alberta Foundation for the Arts Collection, ‘Baby Bison’ (Chlorite) ‘Mother Eagle’(Wonderstone). 2008	Government of Canada, Indian Affairs, The Photographic Expose. Community Well-Being Index. 2017 The Curious Bear in the Red Canoe, Bearclaw Gallery, Edmonton Alberta April 2017 A new series in Stone and Canvas. 2016	The Wild Party, Gallery @501, Sherwood Park, Thursday September 1 thru October 23, 2016. Jason Carters’ exploration of the term ‘WILD’ reveals the ‘animal’, specifically the bear, wolf, moose, bison and rabbit (of course), playfully rendered in canvas, stone and mixed media examining the ‘urbanization’ of the ‘wild’ animal. 2016 Princes Of The Prairies, Okotoks Gallery. An homage to what was once considered to be the ‘Prince Of The Prairies’, the grain elevator. A celebration of the history, the meaning and the culture that these majestic towers on the prairie landscape, represent. A series in stone and canvas. Curated by Mary-Beth Lavoilette. 2016	“Who Is Boo: The Curious Adventures of One Trickster Rabbit” Okotoks Gallery. The book series comes to life, as the original paintings from the first boo book engage children of all ages. A series in canvas. 2015	The World Of Boo, Art Gallery Of Alberta, An installation created by collaborators Jason Carter and Bridget Ryan. Inspired By their book series ‘Who Is Boo?’. Experiment with ideas and create meaning through a variety of interactive experiences in this exhibition dedicated to the celebration of story telling. 2014	You Are Here, The Carter-Ryan Gallery, Canmore, A new series of stone and canvas exploring the canoe and the feeling of balance and serenity found within the canoe the landscapes and ourselves. 2013	The Human Form, The Carter-Ryan Gallery & Live Art, An exploration of the human body in stone and canvas. 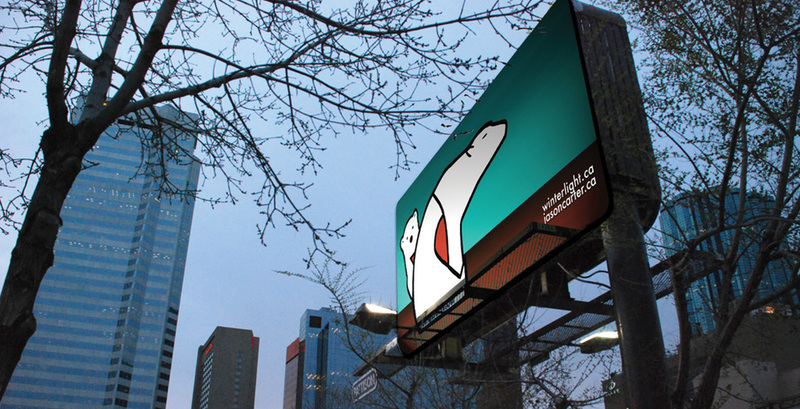 Commissioned by The Canada Council for The Arts. 2013	The Rise, The Bearclaw Gallery. Edmonton. An exploration on the moment where the prairies meet the mountains and give rise to the grandeur that is the Rocky Mountains. 2012	Art Gallery of Alberta, Urban Animals, Touring Exhibit Program(TREX) (December 2012–September 2015) Province wide tour of 18 original acrylic on canvas paintings that playfully explore the relation between Rural and Urban Animals. 2012	To Dream The Bear, The Carter Ryan Gallery and Live Art Venue. Supported by The Canada Council For The Arts, a 20 carving series exploring the bear ‘In Dreams’ through, alabaster, chlorite, and soapstone. 2011	Who Is Boo, The Royal Alberta Museum. April 16 – July 3, 2011. Supported by The Alberta Foundation For The Arts, Twenty-one 30” x 40” paintings from the children’s book WHO IS BOO (illustrated by Jason Carter) brought to life in Acrylic paint and sculptures of Rabbits, Bears and Wolves. 2011	The Year of the Rabbit, The Catalyst Theatre, based on the Chinese zodiac, rabbit sculptures and colorful canvas depicting the various types of rabbit (metal, water, wood, air, and fire) filled this theatre. 2011	Narrative Quest, Royal Alberta Museum, features a selection of artworks by 22 Aboriginal artists from the collection of the Alberta Foundation for the Arts. The prevalent themes in these artworks are often based on storytelling. They are stories immersed in the past, reflective of the present and hopeful for the future. 2010	Alberta House, Vancouver Olympics, Jason Carter was the only artist to have a solo exhibit at the Alberta House during the 2010 Vancouver Olympics featuring 6 stone sculptures. As well, the Honorable Minister of Culture publicly acknowledged that Jason Carter in an international press conference. 2010	Jason Carter, The Bearclaw Gallery, An introduction to Jason Carter as The Bearclaw Gallery excitedly announce the addition of Jason Carter to the gallery roster. A new series of sculpture and colorful canvas. 2009	The Tail of Giving, The Catalyst Theatre, Winner, Best Visual Arts Installation 2010, See Magazine Edmonton. Supported by The Alberta Foundation For The Arts. 2008	Nanabozho: The Trickster Rabbit. September 12 – October 31, 2008 @ Sun and Moon Gallery & Studio a new series of 20 carvings and 30 paintings that explore the wonderful world of the trickster rabbit and the many characters he often foiled, duped and/or taunted. 2014 Who Is Boo 2?, Illustrator. Who Is Boo 2? : The Terrific Tales of One Trickster Rabbit is a 66-page illustrated children’s book written by Bridget Ryan and illustrated by Jason Carter that continues the perpetually curious rabbit who is in a continual race around the world with his brother and along the way, meets many animals. 2015 Who Is Boo 3?, Illustrator. Who Is Boo 3? : The third instalment of The Terrific Tales of One Trickster Rabbit is a 66-page illustrated children’s book written by Bridget Ryan and illustrated by Jason Carter that continues the perpetually curious rabbit who is in a continual race around the world with his brother and along the way, meets many animals. 2019 Who Is Boo 4?, Illustrator. Who Is Boo 4? : The fourth instalment of The Terrific Tales of One Trickster Rabbit is a 66-page illustrated children’s book written by Bridget Ryan and illustrated by Jason Carter that continues the perpetually curious rabbit who is in a continual race around the world with his brother and along the way, meets many animals. Released date of September 2019.